"How much do I need to retire?" "How much to save for retirement?" "When will my money run out?" It's a tough question that was beyond the grasp of most people for years. Instead most people paid thousands to a financial planner to answer this question and were left with a big report and no more help. Now you can find the answer yourself with WealthTrace. 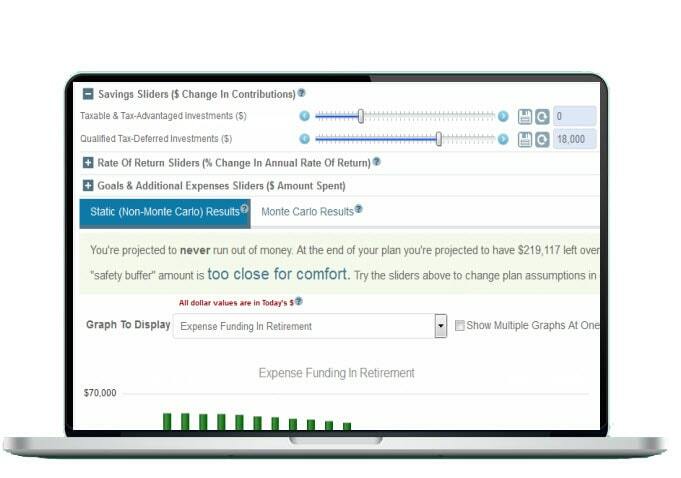 The power of financial advisor-level planning software is now available to you, the consumer for personal use. Our program accurately calculates how much money you need in retirement so that your funds never run out. Watch the video demo on how to get started with your plan. An average financial plan costs nearly $2,000 (Source: The College of Fin. Planning 2011 Survey Trends). Save your money. Get one-on-one help completing your plan along with real financial advice from our in-house CFA® and financial planning expert. 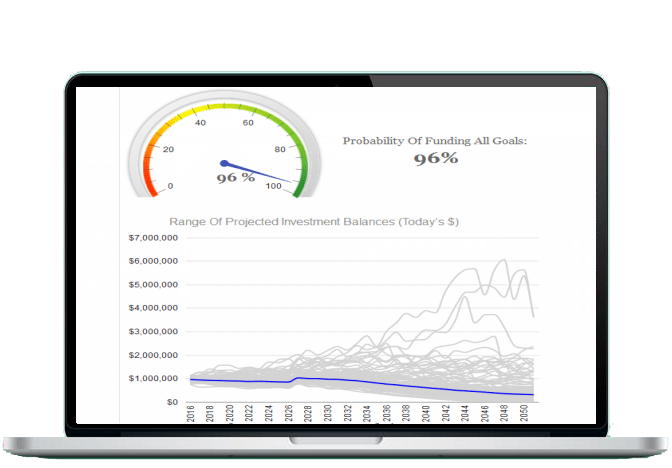 Dial your retirement age up and down and watch in real time how your investment balances change and if you ever run out of money. Quickly find out if you can retire earlier than you thought or if postponing your retirement date is the way to ensure you never run out of money. Easily change your savings assumptions for various account types (including taxable, tax-free, IRAs, 401(k)s), and many others. Watch how your retirement situation changes as you dial up and down savings rates. Figure out exactly how much you must save in order to retire when you want. Compare WealthTrace vs. free calculators. When Will My Money Run Out? See exactly when your funds will run out and why. 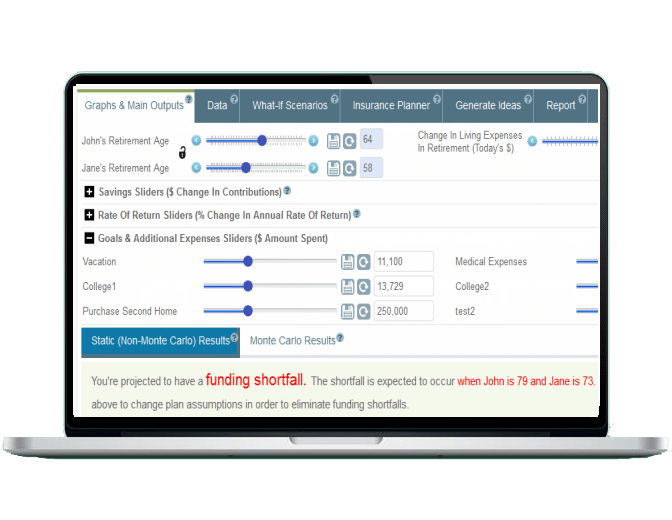 Easily view which expenses contribute to any funding shortfalls. 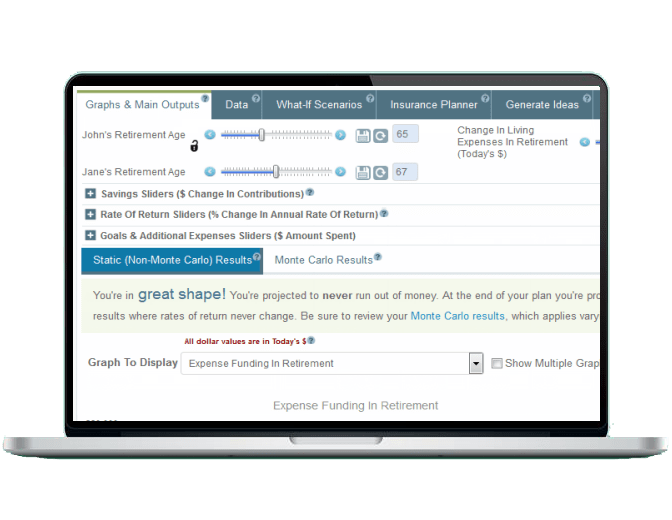 Quickly change spending assumptions for a variety of expenses to see how you can keep yourself from running out of money in retirement.